If you were wondering if Riley and I had dropped off the face of the earth it kind of seems so. 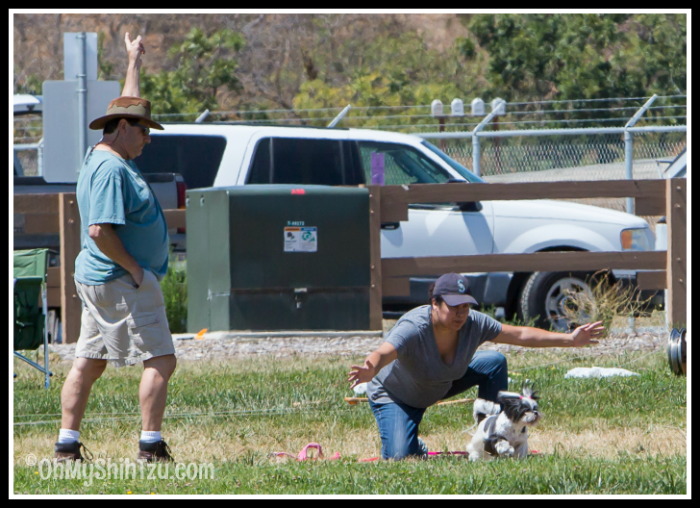 It really started 3 weekends ago when Riley, my husband and I headed to Hollister, California for our first Coursing Ability Test! 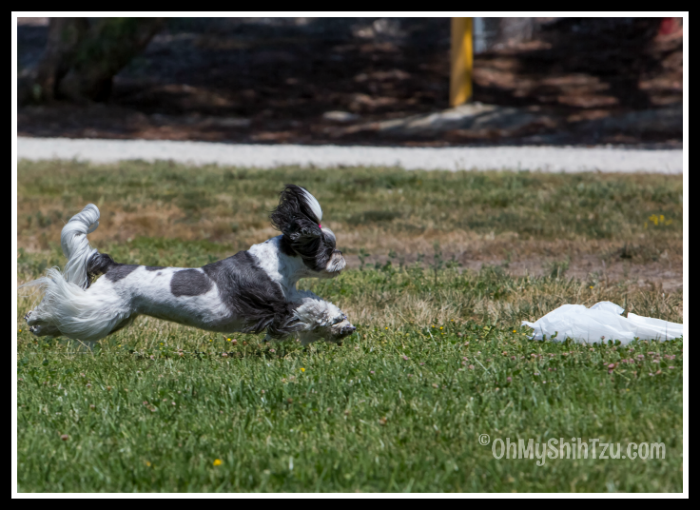 What I love about the Coursing Ability Test (CAT) is that it relies on a dogs natural ability to chase, and believe it or not but this little Shih Tzu has a huge prey drive!!! The Coursing Ability Test (CAT) is for any dog of any breed, including mixed-breeds, as long as it is at least 1-year-old and individually registered or listed with AKC.To pass the test, a dog running alone must pursue a lure, completing the course with enthusiasm and without interruption within a given time. As part of our first CAT weekend Riley ran a total of 4 runs, 2 on Saturday and 2 on Sunday. Each run she earned a qualifying run towards her titles earning her first CA!!! Now she only needs 6 more qualifying runs to earn the next Coursing Ability Advance title. We had so much fun watching Riley run, but I have to say watching her run away from me like she did was a wee bit scary. For her size, 12″ and under she is required to run a course of 300 yards! So once the field master says “Tally Ho!” off she goes, out approximately 150 yards and then back… that is more than a football field away. On her first run she became a tiny bit distracted when I say a puff of dirt go up in the air and she immediately stopped to check it out, yes it seems a ground squirrel ran into a hole as the lure when sailing past it, and Riley momentarily stopped to check it out, but all was well as she resumed her hunt and chased the lure. From that run on she just got better and better…. it was amazing to see her run! Well after our first Coursing Ability Weekend we really caught the bug! We are looking forward to our next CAT in two weeks, and then again on Halloween weekend. As you can see any dog can do a CAT, so if you would like to learn more, just check out Coursing Ability Test and join in the fun. Thank you so much for posting about this!! I had been meaning to look into this for both of our pups ~ Missy loves to chase anything small & fast, such as cats, squirrels, and bunnies (she caught one once..gulp..but didn’t kill it), and Buzz is all about chasing squirrels & birds! I just pulled up the event calendar on the AKC website you provided the link to and found several events not too far away from us here in NC. 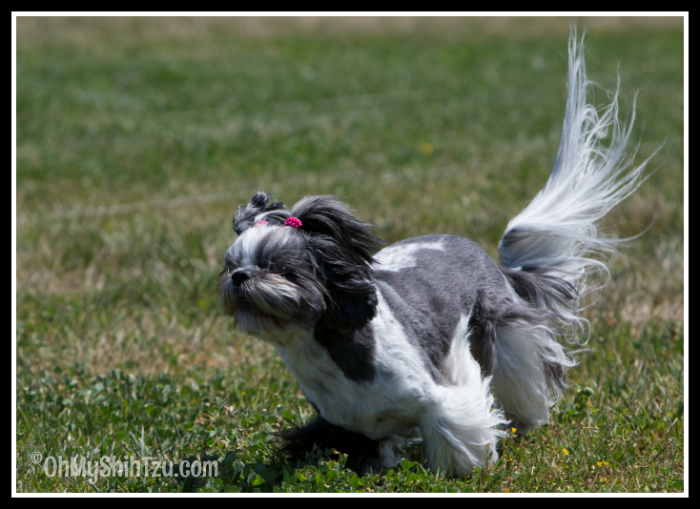 I LOVE that your Shih Tzu pup gets to go to these events and has a blast chasing after the lure!! It’s so much fun you really have to try it!! 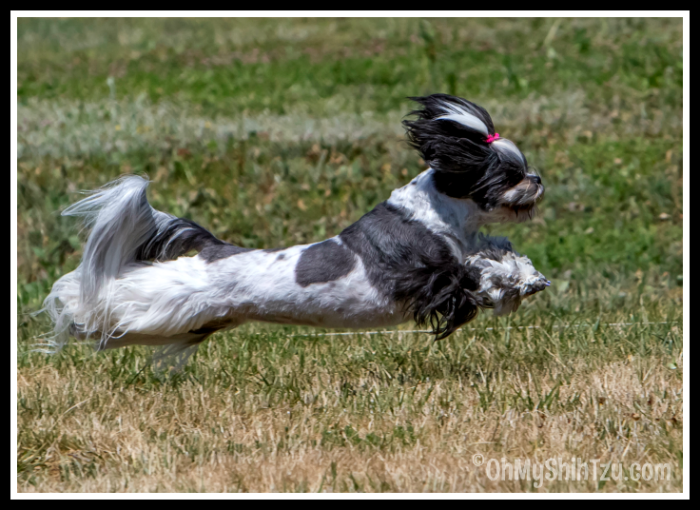 Look at her run… she’s a natural at this and I can only imagine how fast she goes! Love the photos as always. Seems Riley has absolutely found her groove – and she looks so beautiful while she’s doing it! Congratulations!